The exploration of Saturn became dream of mankind since the discovery of it’s fabulous ring system by astronomer Galileo Galilee in 1610. Until today four unmanned space probes from NASA has been explored planet Saturn. Only one orbiter mission included within four successful missions to Saturn, remaining three are flybys missions. Pioneer 11 is the first ever space probe to visit Saturn. It was launched by NASA in the year 1973 to make close study about asteroid belt, region between the orbits of Jupiter and Saturn. It made the closest approach to Saturn atmosphere on 1st September 1979. 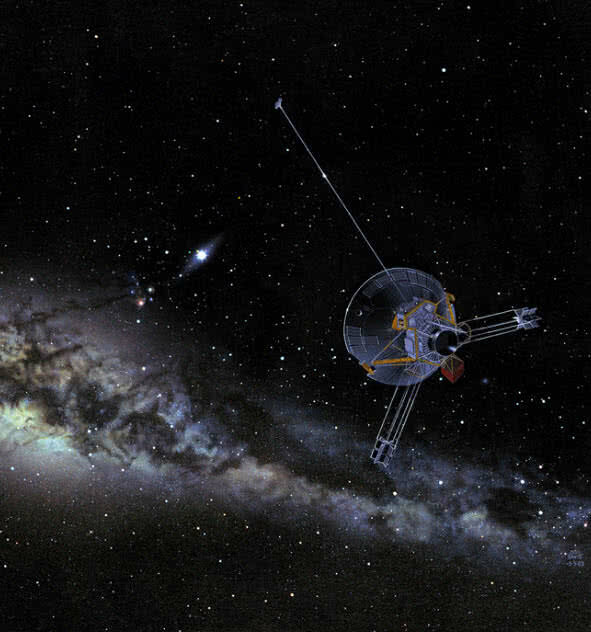 At that time Pioneer 11 probe flew 20000 km above of Saturn’s surface. The discovery of new moon and F-ring of Saturn are the biggest accomplishments made by Pioneer 11. It sent back many images of Saturn and it’s moons, most of them are low resolution images. The datas from Pioneer 11 helps the scientists to determined that Saturn have a featureless atmosphere and most part of planet contains liquid hydrogen. 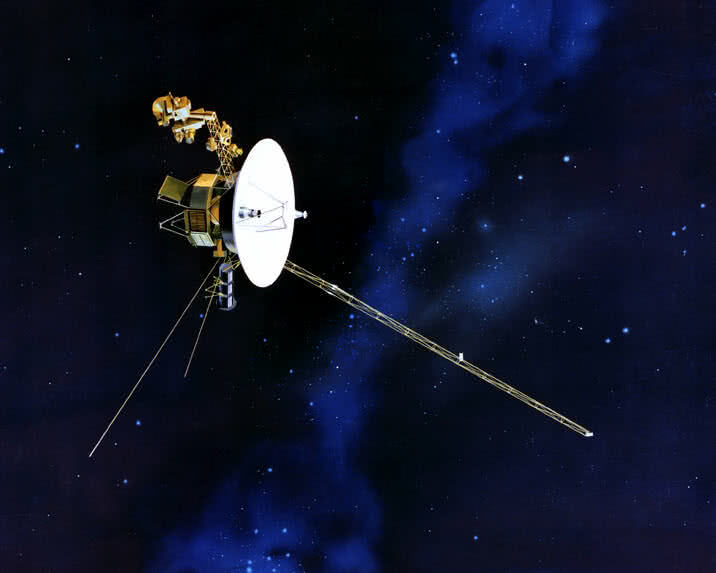 NASA’s Voyager I space probe is the farthest man-made object from Earth. On 12th September 2013 it leaves the solar system and by June 27, 2014 it traveled a distance of 127.44 AU. It was launched on 5th September 1977 and started to exploring the atmosphere of Saturn in 1980, a flyby type mission to Saturn. Voyager 1 sent back first ever high resolution images of Saturnian system during it’s exploration. The space probe also made closest approach to Titan, Moon of Saturn. It helped the scientist to get many details about nature of Titan, determined that it’s atmosphere is impenetrable in visible light. Voyager 1 took 900 high resolution images of Saturn’s Moons in total. The datas collected by the probe also proved the complexity within Saturn’s rings. Voyager 2 space probe is a part of interstellar mission from NASA. It was launched on 20th August 1977, 16 days before the launching of Voyager 1.But Voyager 1 overtake Voyager 2 during the mission. 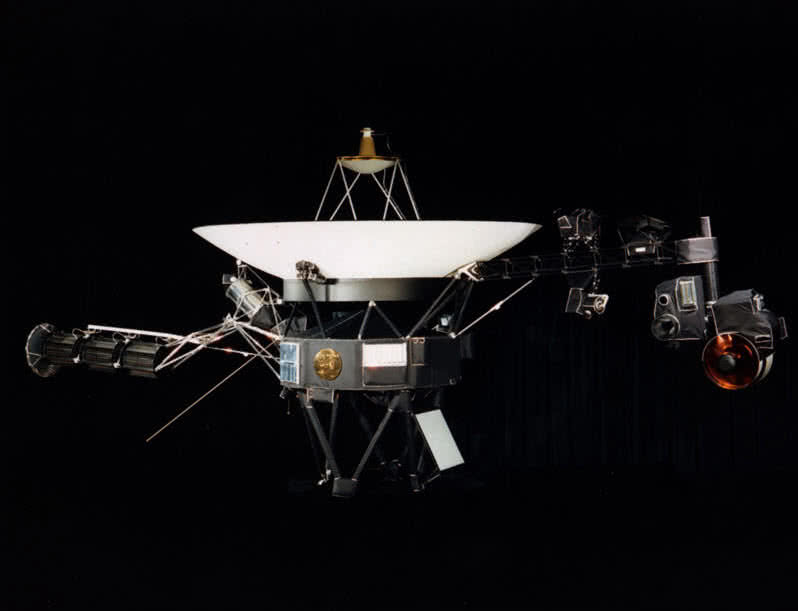 Both space probes are still active and Voyager 2 is few billion kilometers behind that of Voyager 1. The exploration of Saturn and Jupiter also included within main mission of Voyager 2. In August 1981, just a year after exploration by Voyager 1, the Voyager 2 reached within Saturnian system. The space probe managed to capture many close images of Saturn and it’s rings. Using those datas NASA scientists got evidence of changes within Saturn ring and discovered new satellites revolving around the planet. Voyager 2 also recorded the temperature variations and density level within Saturn’s atmosphere. The datas from Voyager 2 also included thousands of high resolution images of Saturn’s Moons. 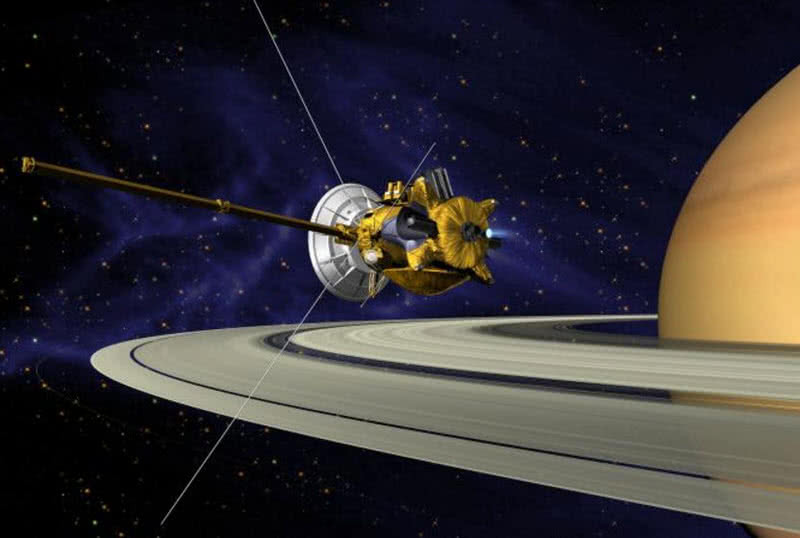 The gravity of Saturn also powered Voyager 2 space probe to extend it’s exploration towards distant planets. Cassini is the first successful orbiter mission to Saturn. It was launched in 1997 along with Huygens space probe, operated by NASA, European space agency and Italian space agency. The orbiter insertion of Cassini recorded on 1st July 2004. Since then Cassini orbiter continues to return streaming of data on daily basis. As by 1st July 2014 Cassini completed 10 successful years in Saturn. During this period Cassini orbiter traveled 2 billion miles around Saturn and executed 2 million commands. It sent back 332,000 images in total, includes high resolution images of Saturn, it’s ring and Moons. On 14th January 2005 the Huygens probe separated from Cassini and landed on surface of Titan, returned back huge amount of data to Earth. Cassini orbiter also made close flyby around Titan to collect more data about it’s atmosphere. In 2006 Cassini also captured image of new ring of Saturn. On 19th July 2013 Cassini captured color images of Earth and Moon from Saturn system, from 1.5 billion kilometers away. It became most important photograph from Cassini orbiter and our living planet found as a small blue dot within the image.